The DM-9HX looks the same as the UV-9HX which is the same as the UV-5R. Everything fits. It’s finally here – Baofeng has released its proper digital version of the UV-5R and you can just-about get it in the UK by direct import (although I gather Moonraker have a few). I reviewed their first digital model, the DM-5R, and concluded it was a bad idea as it only implemented Tier 1 and therefore could only talk to identical transceivers. A real pity. There is supposed to be a Tier-II version, the DM-5R Plus, but I don’t know anyone who’s seen one and even the specifications say it’s isn’t compatible with Motorola. Anyway, it seems to be history or myth now the DM-9HX has arrived. 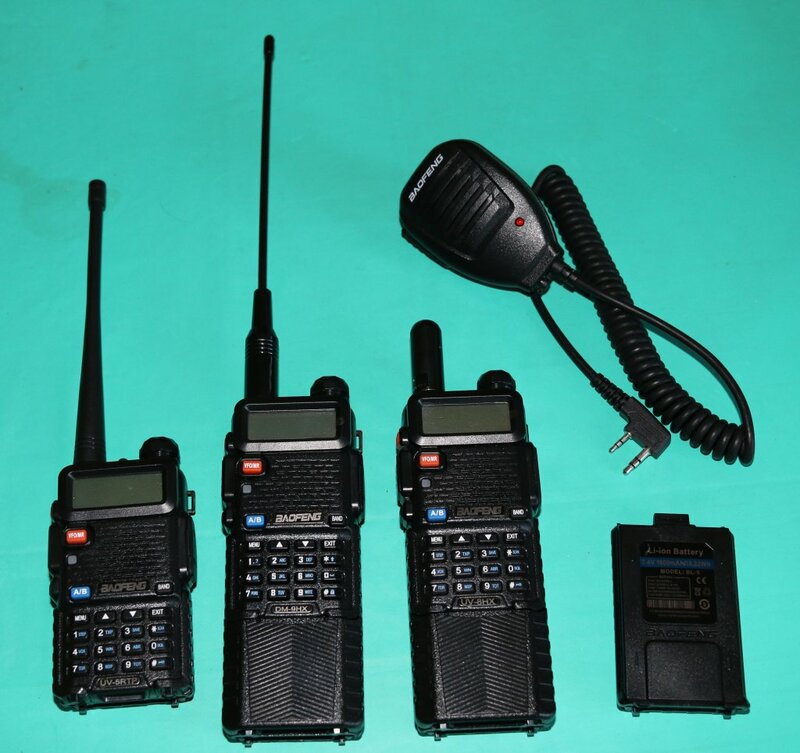 I’ll assume you know previous Baofeng models well enough and concentrate on the differences. But just in case you don’t, the legendary Baofeng UV-5R series are cheap and cheerful handheld dual-band FM 2m/70cm transceiver with a speaker/mic socket and an MSMA connector for whatever antenna you choose. There is a tri-band model, and they all seem to have a built-in torch. A number of variations in case style exist, including waterproof, as do versions with uprated RF. But they’re pretty much identical at the user level; and they’re the mainstay of many people’s community PMR set-ups as well as a no-brainer for Ham use. Baofeng announced it was going to produce a digital version, which was physically interchangeable with previous models but with added DMR capability. This is a great proposition for people like me, with dozens of UV-5R batteries, antennas, chargers, cases and so-on. It protects your investment whilst allowing controlled migration to DMR. It’s been a long time coming, but now it’s here. So first off – the interoperability is there. It uses exactly the same accessories as the UV-5R. It’s the same size and looks like a UV-5R – apart from the all-new display. Good job. The only physical difference is the programming cable, which is a direct USB feed into the microphone socket. And it doesn’t work with CHIRP. If you look closely, the label also says DM-9HX (check the picture near the top) and the keypad is overprinted for digital mode – alpha instead of menu shortcuts. The DM-5R/Plus had a black VFO button but they’ve gone back to orange with this model. I’ve had to put a rubber sleeve on it to find it amongst the others. Inside the box you get a new “digital” antenna, the standard charger and the large battery. I’ve yet to test how much difference the fancy antenna makes; for ease of carrying, and like-for-like comparison, I swapped it for a standard battery and a stubby antenna. Moonraker supplied a standard Beofeng headset (yeah) with theirs; others don’t. The charger is the same, and it comes with the larger BL-5 12Wh battery although the smaller type still fit. It also comes with an English manual, which is reminiscent of the one supplied with the DM-5R. It doesn’t actually relate to the DM-9HX, which is different enough for this to matter. But we’re radio amateurs, right? We like fiddling with things to find out how they work. Compared to the analogue models, the user interface is much improved in terms of sanity, while remaining similar in some respects. The buttons do more-or-less the same, with the side ones being programmable. Alpha text entry on the keypad is now Nokia-like, with the # key switching case and three alpha characters on each number key. The display is a high-res monochrome dot-matrix instead of a segmented LCD found on the analogue models and the DM-5R. It’s very clear to read, and back-lit either permanently or on a timer. There are also no more voice prompts. This is either a good or bad thing, depending on your taste. Instead of settings being arranged in one long numbered list, in the new world they’re in a hierarchy of menus. Some settings are in odd places, but in general it’s a big improvement and easy to get around. The layout in the manual is simply incorrect, but even then it didn’t take too long to find most things. Some, however, were more difficult – read on and save yourself some trouble. One handy feature of Beofeng analogue sets is the “dual watch”. This allows you to monitor two frequencies, and optionally lock on to the active one for transmissions. Although it appears in the manual, it wasn’t in the menu. The truck is to turn off “Power Saving” mode, after which it appears. There’s no sensible explanation of “Power save” mode, but it’s on by default. Another oddity is tone squelch. CTCSS can be set on T, R and C. I’m not sure what ‘C’ is but I suspect it simply sets both T and R at once. The same menu identifies itself as setting DCS modes, but doesn’t appear to allow any such thing. I’ve yet to find a way of doing it on the radio, but you can from the programming software. This turns out to be true of quite a few things, for not apparently good reason. Remember the analogue channel saving game, where you could write current settings to a memory and it sometimes worked? It was always a bit hit-and-miss in my experience, so I left it to CHIRP, but the DM-9HX has dropped the option entirely from the radio but it’s still described in the manual. It’s not possible to save current VFO settings to a memory. It is possible to edit a memory when in MR mode, to an extent. This is logical, but is a PITA if you’ve just got something working in VFO mode. and you want to save it. If you do want to store to a channel, switch to MR mode, choose the channel and then edit. The editing menu options vary from VFO mode, just to make life interesting. For example, you can’t program an offset transmit frequency using the direction/offset menu settings (they’re disabled in MR, but not in VFO). However, you can enter separate Tx and Rx frequencies directly (calculating the Tx in your head, of course). It’s a bit illogical, but it works. Another thing you’ll need to know is that a memory location is either designated as Digital or Analogue. This is set using the programming software, and cannot be changed on the radio. Neither can unused memory locations be brought in to use. As shipped, a mixture of sixteen analogue and digital channels were configured by default; you’re going to need the programming software if you want to make use of the memory, but saying that, making quick tweaks to an existing memory on the radio is much easier than it was before. As a suggestion, you might want to define a load of channels in software early on, so you have enough to choose from when programming using the radio. One big worry with the first unit I tested (I have others waiting) is that the CTSS appeared not to work on receive. However, leaving it set on Tx it seemed to work for both. Further investigation needed on this one. I received the programming cable and a small anonymous CD containing many files. One of these was a ZIP with a name in English identifying it as related to the DM-9HX, so I installed it. It was the right one, but it’s hard to tell because it came up in Chinese, and does so every time. Keep going through the menus until you find “English”, select the option and all will be well – assuming you don’t speak Chinese. The cable is a USB lead, with multi-ring plugs that go into the mic socket. I’d have liked to see a micro-USB socket on the radio for programming, but it works. Windoze recognises without the need for any special COM port driver. Yeah! It recognises it as a mouse, but it works. After this rocky start, I’m pleased to report that the programming software has worked perfectly so far. Some of the terminology for settings doesn’t match the radio, manual or any known term I know of but you can figure it out easily enough. There’s no manual for the software, but it does have useful help information that appears in a lower window pane. A lot of additional options related to digital operation, such as phone books and zones. As a GUI, it works as you might expect. For locking down the radio, you can select which menus are available to the user in a way that seems very flexible. You can also set the allowed frequencies, as you could with the analogue sets. There is, however, one serious limitation to the software. 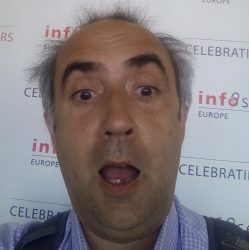 I have found no way of importing/exporting memories to a spreadsheet. You have to enter them all, one at a time, using dialogue boxes. This is NOT cool. Will CHIRP support this? Well no one has been inclined to add support for the DM-5R since 2016, but then again who would want to use one? Unfortunately, looking at the technicalities and very different nature of DMR it’d take some work to add, although it’s been propo DMR-6X2sed for 0.5.0. 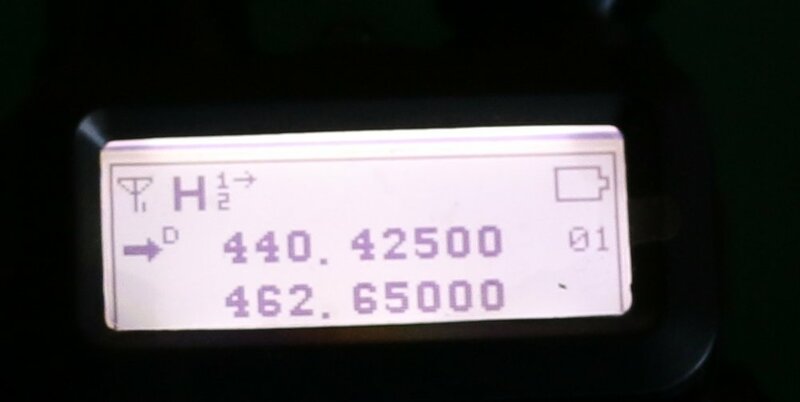 The programming for another Beofeng DMR, the DMR-6X2, does import/export CSV so it’s entirely possible I’ve just not figured it out yet but I’ve looked closely. That’s about it for this quick look. I’ve done some RF tests, the results are to follow, as is some proper photography. I’ve spoken to friends over analogue. The sound quality was described as fine, but through a repeater to mobile stations. To conclude, after the false-start on the DM-5R, the DM-9HX delivers – both in terms of DMR functionality, compatibility and as a major step forward in usability. With a few rough edges.